Kristen Nicholas shows you how to knit your own mink stole using a simple lace pattern and 100% mink yarn. Ellen Gormley crochets recycled denim into a lovely shell stitch shawl. Kristen is back to knit faux cable fingerless gloves with a yarn made from milk. Then, Brett Bara uses alpaca to crochet a spectacular floral scarf. 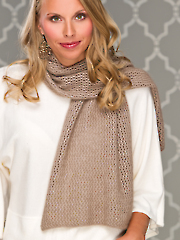 Very informative regarding different kinds of yarns and how the patterns are done. I love all the short cuts and need to know regarding each pattern. I love to crochet. I do some knitting. 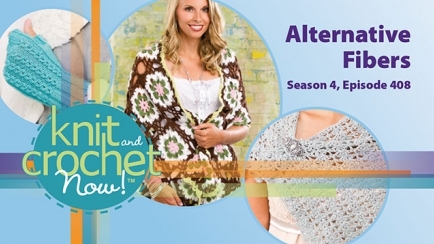 Thank You for the Knit and Crochet TV shows.